Available to accept instructions in all areas of Chambers’ practice. Before coming to the Bar, he worked as a broadcast journalist for the BBC. David is rapidly developing a specialism in clinical negligence. His busy practice is divided equally between claimant and defendant work. He is regularly instructed in matters of greater complexity and value than would be expected of a barrister his call. By way of example he is currently acting in several High Court claims with values between of up tp £900,000, including claims concerning claims relating to deceased patients under the Human Rights Act 1998. David appears in clinical negligence matters in the High and County Courts. His practice ranges from Fast-track trials factually detailed multi-week hearings concerning claims involving multi-disciplinary treatment, serious injury and complex questions of causation. He is regularly instructed to settle pleadings and schedules and to advise on all aspects of cases from pre-trial disputes and correspondence through to interim applications, settlement negotiation and trial. He also has experience of and is available to be instructed in costs proceedings. He is happy to be instructed under a CFA and is always willing to assist instructing solicitors with a brief opinion on the merits of a potential claim. Coming from a family of doctors, David has a good understanding of medical practice, an excellent grasp of clinical jargon and a relaxed and confident manner with experts. David has a particular interest in insurance law. He contributed to the 2015 edition of MacGilvray on Insurance Law (Sweet & Maxwell), Chapter on Reinsurance, as well as the earlier second supplement. He has offered seminars to solicitors providing an update on top insurance cases. David is building a personal injury litigation practice. He has experience of infant settlements, small claims and fast-track trials. During his first six, David assisted Robert Weir QC in the leading case on combat immunity: Smith and others v Ministry of Defence  UKSC 41;  3 WLR 69, which concerned claims in negligence and under the Human Rights Act in relation to members of the armed forces killed in Iraq. David has also assisted Colin Mendoza on personal injury claims involving allegations of fraud and exaggeration, particularly in relation to loss of self-employed earnings. David is building a strong practice in all areas of employment law. He advises and appears on behalf of claimants and respondents in preliminary, one-day and multi-day Employment Tribunal hearings, as well as contractual disputes in the civil courts. He is regularly instructed to draft pleadings and witness statements (including statements in complex and high-value claims) in employment matters. David also has considerable experience of advising on and drafting employment and employment-related contracts. L v A Retailer - successful application for unless orders at a preliminary hearing in the claimant's absence, in circumstances where it was accepted by the Tribunal that this absence resulted from non-delivery of the Notice of Hearing to the claimant. 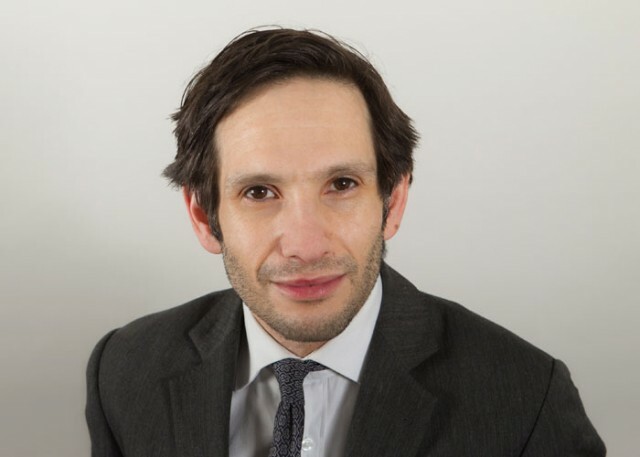 Crossland v OCS Group Ltd and Another  EWCA 576 - appeal against ET's decision, upheld by the EAT, to make a deposit order against the claimant in disability discrimination proceedings and as a result of his failure to pay the claims had been struck out. Appeal dismissed. advising a taxpayer on the validity of surcharges and penalties levied on a taxpayer lacking capacity and on the effect of article 6 ECHR for such a taxpayer's appeal to the FTT. Dogs, especially border terriers. Electronic music, particularly UK garage and its offshoots. Tennis. Walking, ideally with dogs.